Please call 773.489.4830 or email [email protected] to discuss details and make arrangements for your commission. 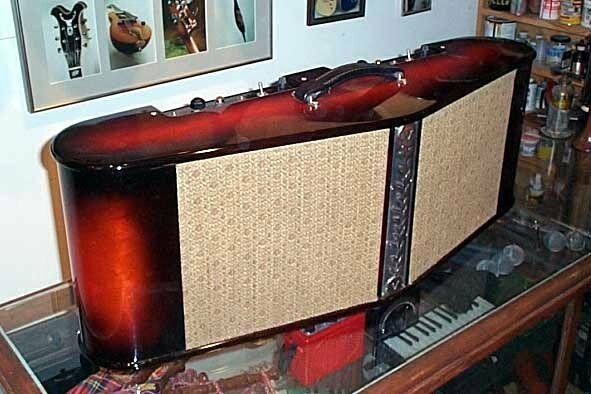 Have you ever wanted your Twin Reverb to break up the same way a little Tweed Champ does? 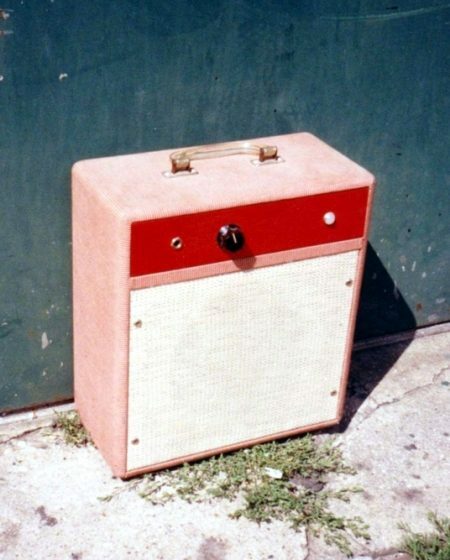 Do you wish your small combo amp had usable stage volume? 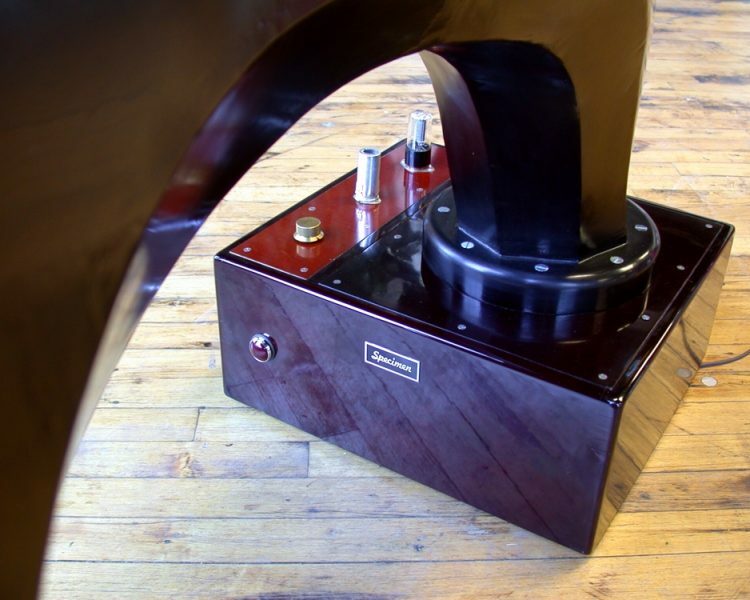 It seems like an impossibility, but with the Specimen Horn Amp you can bridge these gaps and bring the delicious sound quality of a single power tube into an arena previously reserved for higher power push-pull amps. 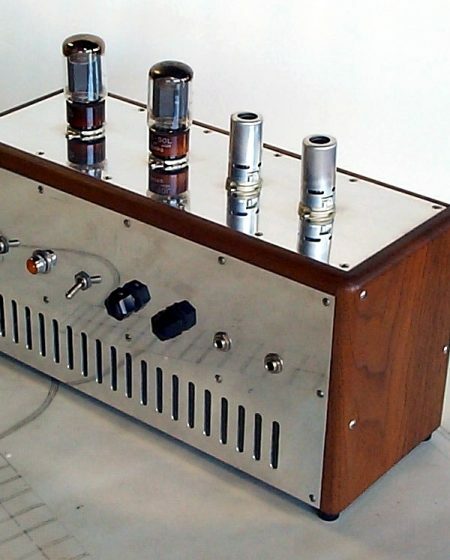 This amplifier was under development for quite a while. 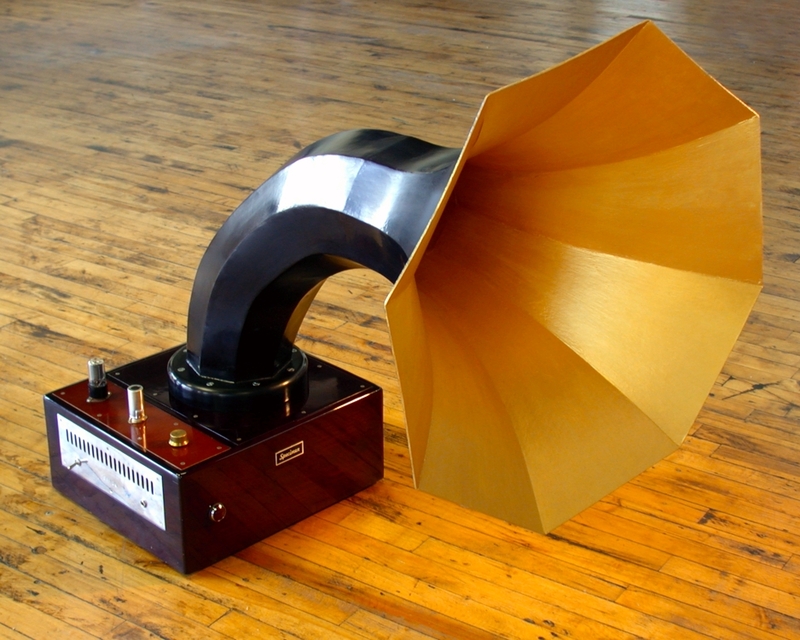 After a variety of encouraging experiments with small prototypes employing tiny drivers, the design was enlarged to accommodate a six-inch driver loading a 24-inch horn. The results are astonishing. 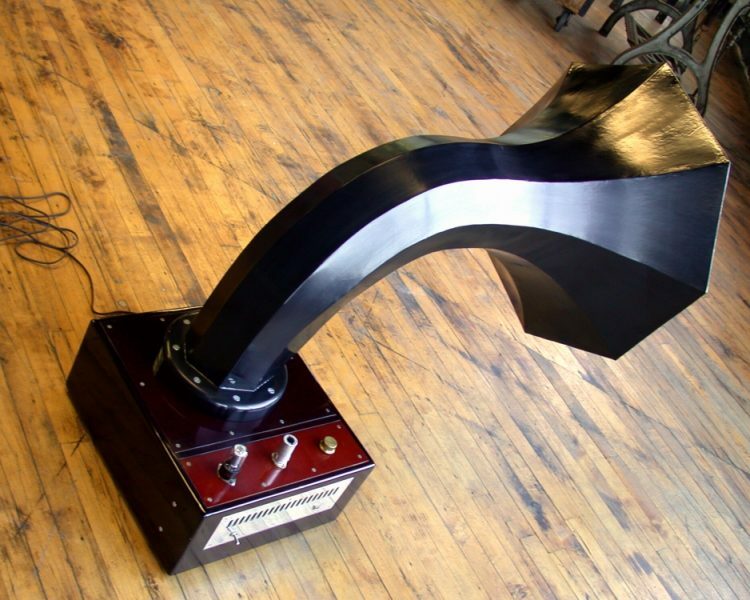 Not only is the Horn Amplifier perfect for guitar, but also for difficult to amplify instruments such as the harmonica, banjo, and violin. They are more manageable, clear, and can attain higher volume without the associated feedback. 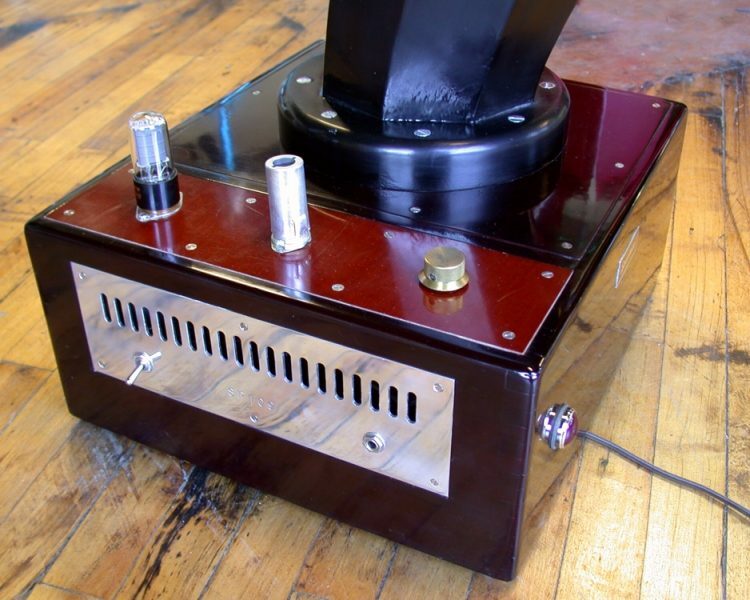 The circuit is Specimen’s standard 8-watt Petimor model rearranged into the cube-like base. 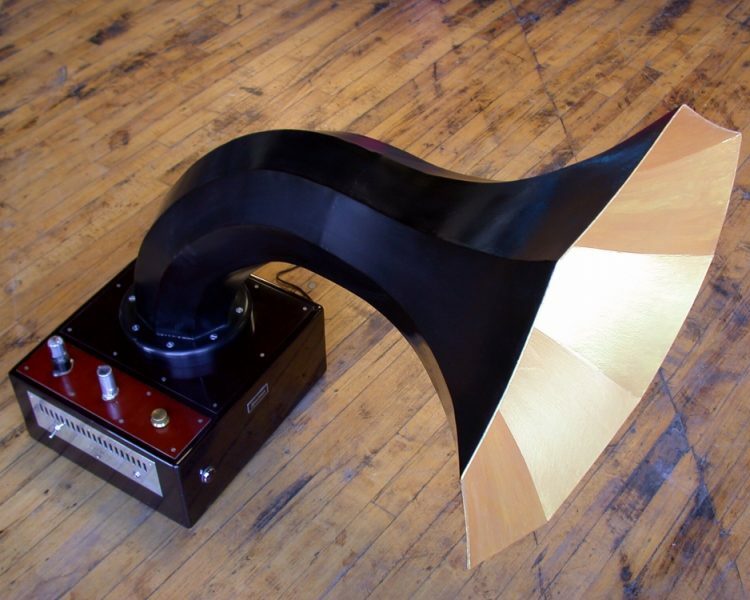 A six-inch, full-range speaker faces upward and loads a 24-inch octagonal horn made from specially impregnated cellulose finished with nitrate. If you have never before heard the microscopic detail lurking within your archtop acoustic guitar, the Horn Amp is your sonic magnifying glass. When playing through it, tiny sounds become naked. There is a rapid sound delivery and a touch sensitivity that lends itself beautifully to the string. Broad, loud chords are delivered with defined clarity. 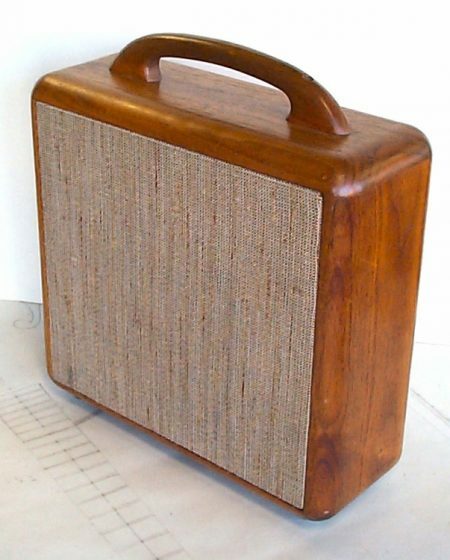 This unit is available as a combo amp or simply as a speaker unit to be used with your own power source.